Welcoming a new child to your home is a wonderful, crazy, life-changing event. That little one is the most important part of your life, so we want to make sure they get the best start in theirs. While you’re scheduling your child’s wellness checks, it is absolutely crucial to bring your baby into our pediatric chiropractor for their initial 5 wellness checks and exams! The truth is, no one needs a chiropractor more than a baby in the first year of his or her life. There is no other time in which a person’s body changes so much, so quickly! It’s not just their body doing the growing, either. Did you know that 65% of all neurological development occurs in the year directly following birth? It’s of the utmost importance that the nervous system is properly functioning during this explosion of growth and learning. 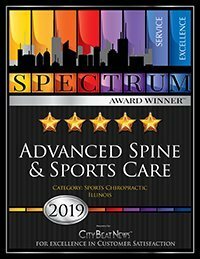 Visits to our pediatric chiropractor in Chicago can also help with colic, earaches, gas pains, troubles latching, reflux, and sleeping problems. The next question is always, “But what could even happen to a little baby to cause a subluxation in their short little life?” Well, actually, a lot. To begin with, birth itself! Most people suffer their first subluxation during their birth. Birth puts a lot of stress on the body of both the mother and her baby. Even a natural birth with no intervention puts a lot of force on that tiny little cervical spine! If forceps or cesarean are required for a safe delivery, even more, force is applied. It doesn’t take very much pressure at all to misalign an infant’s vertebrae. Then, think about all the trips, falls, and tumbles they take while learning to sit up, crawl across the floor, pull his/herself up to standing, and, finally, to take those first, wobbly steps all by themselves! Again, it doesn’t take very much pressure at all to cause a subluxation at this age. A very close third when it comes to frequent questions has to be, “But doesn’t such a small child get hurt or scared during an adjustment? Surely it can’t be safe for someone so little!” I think I know where it’s coming from. Most people don’t think to see a chiropractor until they’ve had a subluxation for a long time as an adult. They’ve developed long-standing muscle tension and have started to show symptoms of long-time nerve suppression. However, chiropractic is more than solving painful problems. Our main goal is to provide holistic, preventative care before those problems even arise! If we can help rid your child of subluxations at an early age, the adjustment is as gentle as you would be checking a piece of fruit at the grocery store. There aren’t even any popping sounds until 6 months of age or even later. The doctors tell your child “Get ready to make some popcorn!” That way they’re expecting a fun, familiar sound. As to the question of whether or not it’s safe, we’ll let our malpractice insurance rates speak for themselves. Chiropractors have the lowest rates in the entire industry! (Yes, lower than your pediatrician and Ob-Gyn.) That’s because insurers feel confident that a holistic, gentle, preventative, drug-free approach to pediatric care is safe. Basically, the times your child is falling a lot are the times s/he needs the most support from a Doctor of Chiropractic. We wish you and your family the best of health, and hope to see you all in soon! Crawl ins are welcome!